Dieter Ron wrote Zola this letter after doing two rounds of Plan Z. 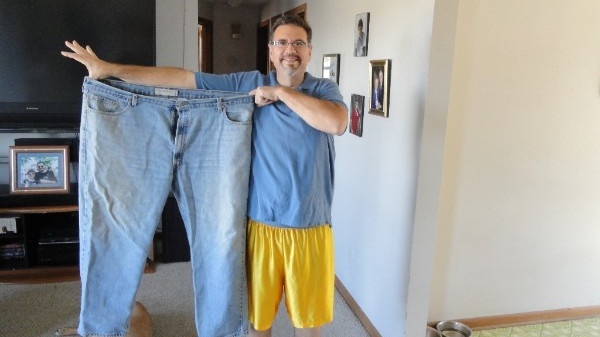 He lost 69.1 pounds and reached his goal weight of 157.4 pounds. I hardly know where to begin–but here goes. My weight problems began a couple of years after returning Stateside from Vietnam in May 1970, weighing in at 148 lbs & 5’8” tall, and in great shape. I started putting the weight on after switching from farm work to factory work. I have always been very active throughout life but still began to pack on the lbs. When I asked my doctor about a good dietician at 168 lbs all he said was that it looked like I was handling it pretty well!! Not what I wanted to hear. That was in 1972 or thereabout, but I didn’t know who to talk to or trust at that point, so I just forgot about it. Tried to reduce intake and get more exercise on my own but always felt like I was starving & tired all the time – so I just gave up. 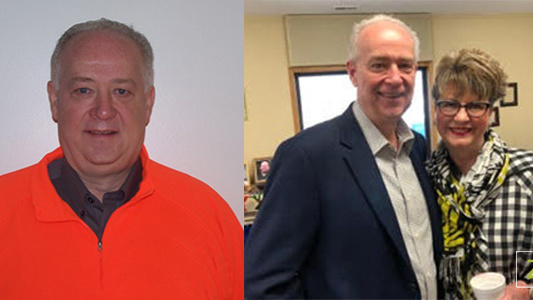 Fast forward 36 years to 2008 and another 52 lbs gained. Still at the same GM factory. Working 3rd shift maintenance with 2 of my brothers, all 3 of us in different areas of the plant. One is a slim 6’1” and 1.5 years older than me, the other 5’ 9” and 6 years older than me, but another 25 lbs heavier than me. I received word from a close friend of ours, shortly after our 2AM lunch break, that my oldest brother was at the plant nurses’ station–and that I should get up there immediately. I had one of the worst rides of my life as we transported my unconscious brother, by ambulance, to Mercy Hospital that morning. He never regained consciousness due to a massive stroke. God, how I miss that guy and his cheery personality – he was always up to some kind of trickery. He had confided in me that he had been fighting high blood pressure, an irregular heartbeat and borderline diabetes. Two years prior he had open heart surgery (5 by-passes). He had tried & struggled over the years to lower his weight, also. It still took me another 3 years after my brothers passing to finally get involved with a plan to get it right, because I feared I was heading down that same highway–a picture of him burned in my memory, lying there so motionless, with the paramedics struggling to keep him breathing. After listening to 1030AM talk-radio host, Mitch, talk about his success with Plan Z by Zola, on “Outside the Box”, I felt, just maybe – and at last, I had found an answer. Yes indeed I had. A big “Thanks”, to Mitch, for using & promoting your Plan Z! Beginning my first binge on our 42nd wedding anniversary my wife, Jean & I celebrated in style, with me weighing in at 223.5 (portly) lbs before the binge. Two days later I was an even more portly 227.5 lbs on Z Reduction Day 1! Little did I realize that two days prior to Thanksgiving Day I would be down 41.9 net lbs & on my 1st day of ZReboot. My goal was to crack the 200 lb barrier—and here I was at 181.6 lbs. These numbers just amazed me! From a starting weight of 223.5 down a whopping 41.9 lbs—all I can say is WOW!! My wife & I had all of our children over for Thanksgiving Dinner as usual. We put together a wonderful healthy meal for me. It didn’t bother me a bit to see others eat things I used to partake of, but can’t or won’t, unless or until approved of by Plan Z. After 42 days in ZReboot and many, many delicious 3 meals a day using ZRecipes I weighed in down another 2 lbs at 179.6 lbs, or 43.9 lbs down from 84 days earlier on Oct. 11th. My new set point was between 2800-3000 calories per day to maintain my new weight. Early on in ZReduction, within less than a week from Day 1, I’d say, things began happening which were surprising to me. From what I had read and studied in the Z Plan notebook I figured some of this would happen but didn’t know for sure if, how soon or how much. Such as—heartburn, which I struggled with for years, GONE! My right ear ached (very painfully) nearly daily, GONE! Knees ached daily, GONE! Huffing & puffing climbing stairs or even tying my shoes, GONE! Headaches & neck aches that came on occasions, GONE! Other things that have disappeared for me are: Pain pills (Acetaminophen-Extra Strength) 6-8 tablets a day some days, anti-acid tablets daily. Now, I have finished my 2nd ZReduction (and my last) as of today, Feb. 14, 2012. My Dr. had taken me off of 3 prescriptions (as of last Mon. Feb. 6th). All 3 were for high blood pressure and are now permanently taken away. On my previous August 2011 Dr. visit, my Dr. told me I would probably be on another prescription for controlling my sugar count if I didn’t do something about my diet/weight. So in actuality I have eliminated 4 prescriptions (really Plan Z by Zola made it possible). Not only is all of this great for me health wise & psychologically but financially, too. Prescriptions alone cost me $212 last year, (I got an annual printout from my pharmacist), let alone any other over the counter meds mentioned above. Minimum saved for me alone is easily $250 per year and then fewer Dr. office visits, for more savings. What a major bonus! I just can’t thank Zola & her team enough for helping me get my health back. Harry O, the radio show host for KLSS Star 106 in Mason City, IA is one of our most successful dieters to date. 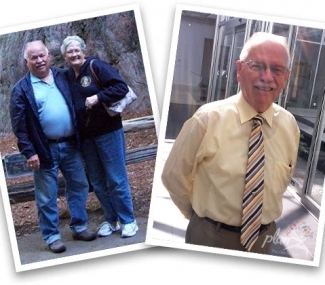 Harry O lost over 150 pounds on Plan Z by Zola and has KEPT THAT WEIGHT OFF. He now wears a size 34 jeans. He is saving over $7,000 a year in medication alone and his C-PAP machine is collecting dust in his closet because he no longer needs it!